As of Tuesday, June 19th – the Final Sale Pricing will begin. It’s time for you to save big money on our limited inventory as stocks are dwindling. Other prices have been reduced as well. 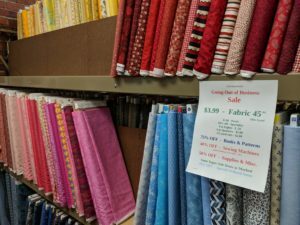 Hurry into Prairieland Quilts as the last day of business for our fabric store is July 14th.